“F2 SGT AM/PM” is Function Factory’s gold standard, full-body 60-minute workout. If you are looking for a new way to get your day going, then this class is for you! Combining functional, interval training with cardiovascular conditioning, F2 SGT will surely challenge you and revitalize you all the same. This dynamic workout strives to improve your aerobic capacity, it will strengthen your whole body, and help you burn calories—all the while keeping you interested and well paced so you don’t get bored. Our power hour instructors are creative and supportive; and rest assured, every workout will feel fresh, exciting, and rejuvenating. Here is your chance to work side by side with our Function Factory trainers. 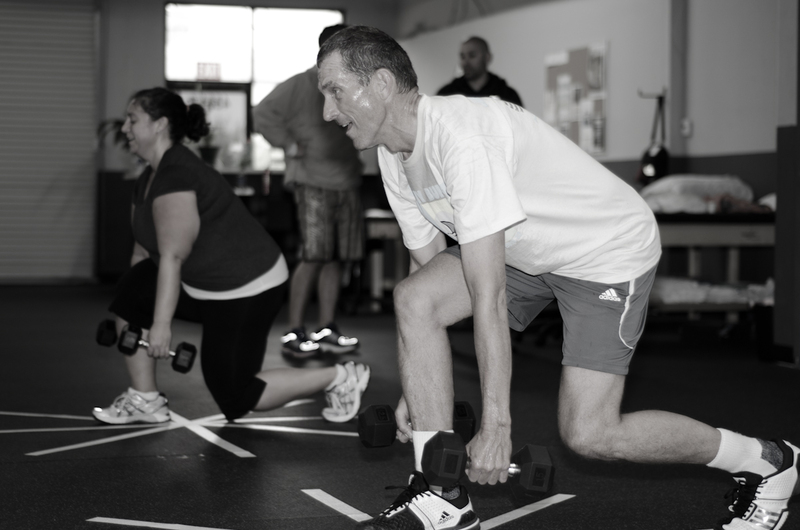 Our trainers work side-by-side with our members and guests. This is a fun and challenging way to see what we go through when we workout. We really do practice what we preach.